Instant Pot Brisket Sliders with Caramelized Onions ~ Tender, Shredded Brisket Cooked in Your Instant Pot. Stuffed into Sliders Then Topped with Caramelized Onions and Cheese! Perfect Finger Food for Parties! 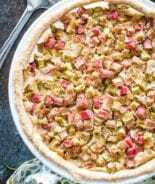 Disclosure: Stubb’s has compensated me for my time to create this recipe. Thank you for supporting the brands that make Julie’s Eats & Treats possible. All thoughts are my own. It’s summertime and that means all the grill outs possible in my world! Summer is a time to enjoy the outdoors with family and friends and you know you are going to get fed if I’m around. It’s how I show you that I love you. It’s kind of my love language! I can’t believe the Fourth of July is right around the corner you guys! This always means a big party for us and I love every moment of it. When I was growing up we always gathered at my Grandma’s house for the Fourth of July holiday. She lived in a small town and they had the biggest celebration around. They still do for that fact! I remember starting the day off with the pancake feed, heading to the parade, having a picnic after the parade and then going to the fireworks! The fireworks were always my favorite part of the day. We’d all grab our blankets and then head down to the ball fields. They’d open the concession stands and serve popcorn out of them so you could enjoy some snacks while you watched the fireworks. My Dad always made sure we had popcorn, which was a highlight. Memories you guys, memories! Insert grown up Julie into the equation now and my favorite part is the food of course! Well, the fireworks still come a close second. Especially when the girls get so excited about watching them! Everything is better through a child’s eye isn’t it? Back to that food. Obviously, I’m going to put a spread on for you if you are at my back yard party this summer. I have a lot to live up to with this blog and all. People have expectations when I come around! 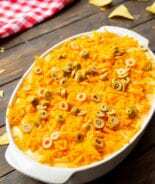 You’ll for sure get some delicious Potato Salad served up with Baked Beans. 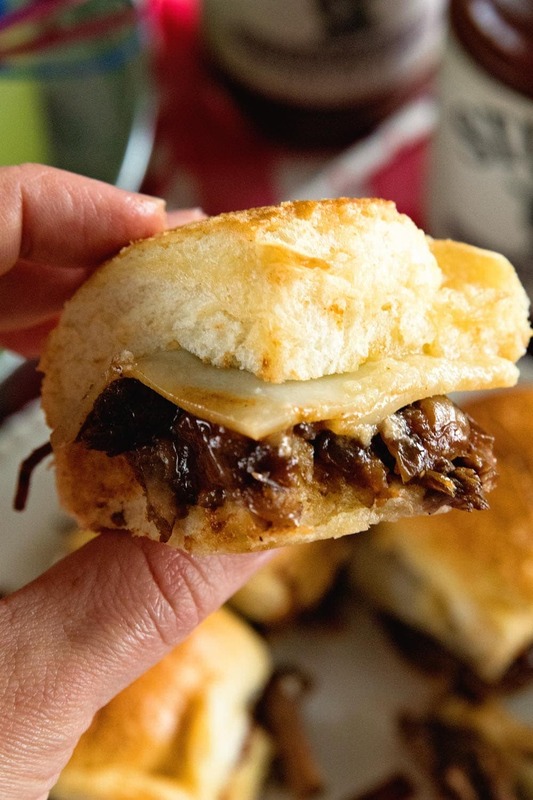 A new favorite are these Instant Pot Brisket Sliders with Caramelized Onions! I adore using the Instant Pot for these delicious little sliders. 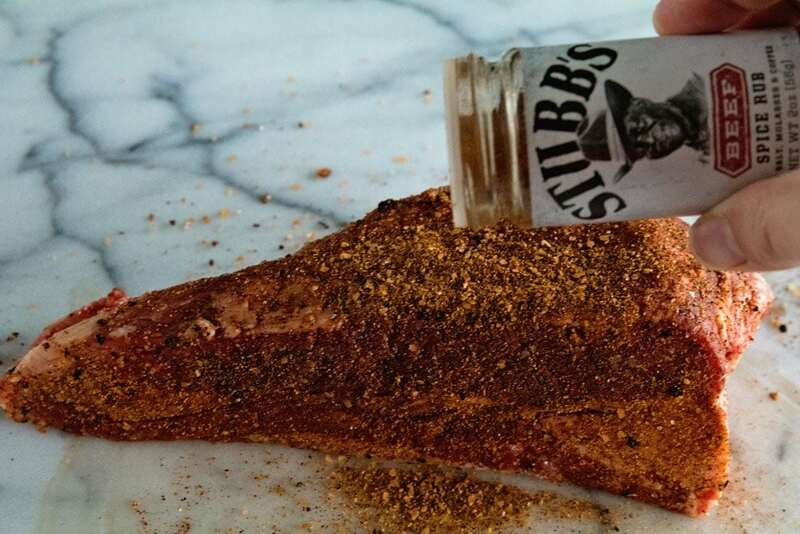 The brisket is first seasoned with Stubb’s Beef Spice Rub. After a good layer of rub I browned it in the Instant Pot and then cooked it on manual for 50 minutes. You guys. Amazing! It was so tender and that rub on the brisket. Perfection! I could have just sat down and ate it like that, but I had guests to feed! 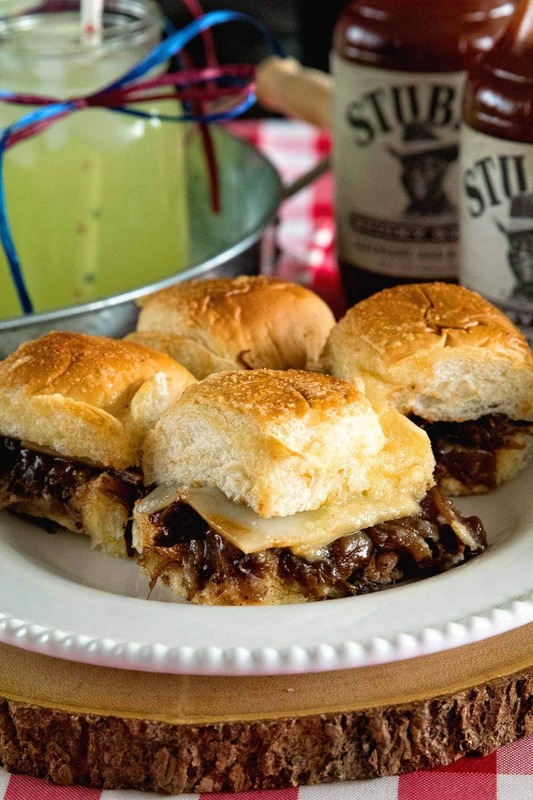 So I layered it on slider buns and topped with caramelized onions, cheese and Stubb’s Sticky Sweet Bar-B- Q Sauce! That Bar-B-Q Sauce was delicious. 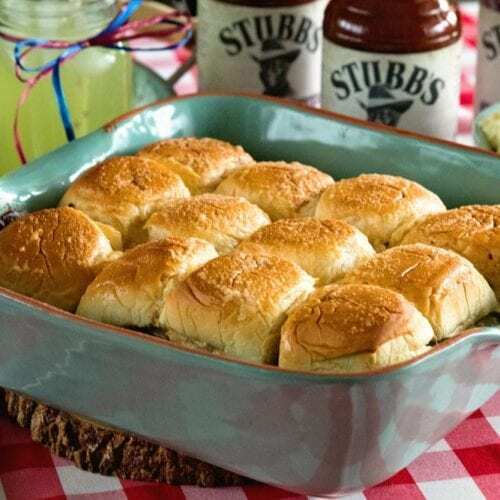 Stubb’s sweetest sauce, is a thick, rich sauce with brown sugar and molasses for an authentic Southern flavor perfect for dipping, infusing and of course, slathering on brisket. 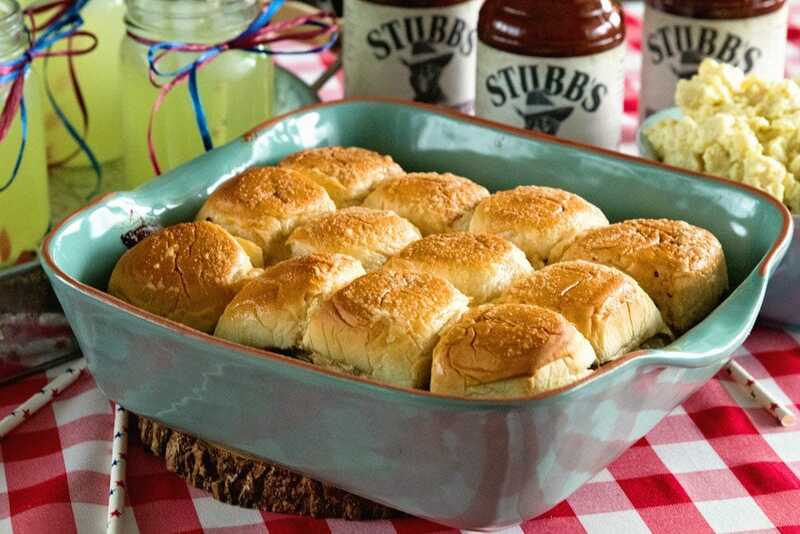 Plus, all Stubb’s products are free of high fructose corn syrup (the first or second ingredient in most barbecue sauces) and contain no artificial flavors or colors from artificial sources. I’m kind of a barbecue sauce junkie and this was awesome. Don’t forget the butter on top of those buns! Then I baked them so the cheese was melted and buns a bit crispy. I’m literally ready to run to the kitchen and make them again! These are perfect for serving at your backyard parties this summer! 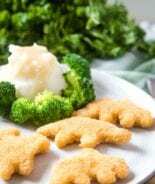 They are the perfect size for finger foods and the kids love that they are their size too! Tender, Shredded Brisket Cooked in Your Instant Pot. Stuffed into Sliders Then Topped with Caramelized Onions and Cheese! Perfect Finger Food for Parties! Remove brisket from fridge. Pat dry and season with Stubb’s Beef Spice Rub. Return to fridge for 30 minutes. Remove from fridge. Turn your Instant Pot to saute. Place olive oil in the bottom of your Instant Pot. Brown Brisket on all sides. Turn brisket so the fatty side is up. Add liquid smoke and beef broth. Place cover on Instant Pot and seal. Set to Manual and cook for 50 minutes on high pressure. When done cooking let it natural release the pressure. Remove brisket from Instant Pot and shred. In a 2 quart baking dish place the bottom of the sliders buns. Top with shredded brisket, Stubb’s Sticky Sweet Bar-B- Q Sauce, caramelized onions, cheese and the top of the bun. In a small bowl mix together butter, onion powder and garlic powder. Brush over slider buns. Bake from 10-15 minutes or until cheese is melted and buns are golden brown on top. Elaine, an Instant Pot is an electric pressure cooker. But it also slow cooks, cooks rice, and several other functions. Check it out on Amazon. I love mine. One of the best things I make in mine is cheesecake! Would you please tell me the difference between a INSTANT POT & a CROCK POT. I already have a great crock pot, why should I buy another Instant Pot when I really don’t have room for one? 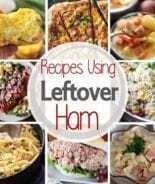 Could I use crockpot instead in Instant Pot? Thanks for your time & information! God Bless! An instant pot is a pressure cooker. Pretty much the opposite of a slow cooker, sorry. Any pressure cooker will work as well as the name brand “Instant Pot”. I really don’t have room for another appliance either! So I would love to know the answer to can I use my crock pot as well, and give extra time? My Instant pot is Crockpot brand. 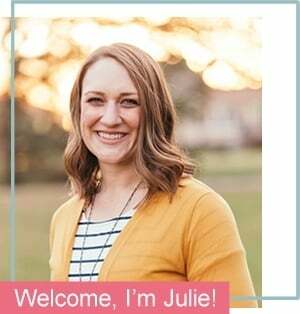 It mostly has the same functions and if your crockpot has the pressure cooker functions you can make it the same way Julie has listed here. These looks absolutely amazing, Julie! 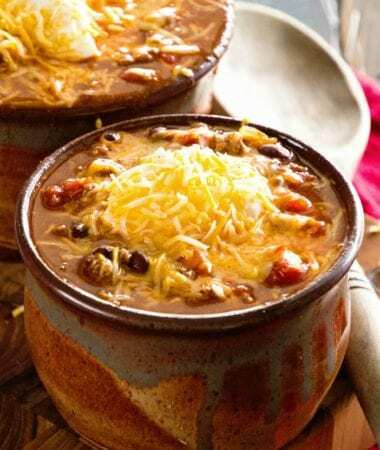 Love using the instant pot for this! I love your 4th of July memories! Ours was always centered around food too! I can totally see serving these up this year! Everyone would love them! I can make brisket in my instant pot?! yes! I love how much time this will save. You say set to manual and cook for 50 mins, then natural release, but at what pressure? Low? High? Where do the caramelized onions come in? Brown brisket, add broth and smoke, cover and cook 50min. Do i cook onions before browning the brisket then add meat or cook onions in separate pan? You prepare the onions separately. This looks A-M-A-Z I-N-G! Having a get together with my in-laws for Christmas Eve and thought I would fix this. Although I love my IP, still intimidated and learning. Will give me another new recipe and a little more confidence in using it (hopefully). The ribs turned out wonderful… hopefully this brisket will too! Don’t you mean to set the Instant Pot to sauté to brown brisket? How do you caramelize onions? I made this and the brisket turned out very tough and dry. I could only slice it. There was no way to shred it. Any idea what I might have done wrong? Thanks! I had the same issue as Judy. This brisket was tough, dry, and no flavor. Unsalvageable. I am from Texas and we cook a lot of briskets. This recipe does not work. Thankfully I cooked this early in the afternoon so I could go to the store and get burgers so my Super Bowl party wasn’t ruined. $15 of meat in the trash. Followed this recipe exactly and had the same results…sadly it was dry and could only slice. Would love to figure out what adjustments to make, as it looks delicious. I had the same experience as the others. The meat was dry and only sliceable. The onion and garlic powder is in step 8. Hi! Can someone help me ASAP please?? 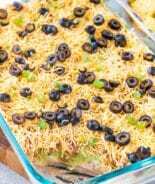 I want to make this recipe tomorrow but I need to do a 2 or 2.5 pound brisket and I don’t know how I need to convert the recipe to account for this! Do I need extra cooking time in the IP? Help please!!!! TYIA!!! I would assume you’d need extra cooking time, but I have never made it with a larger brisket as it wouldn’t fit in my IP! I would guess it’d take more like 90-100 minutes? I followed this recipe exactly! It is amazing! 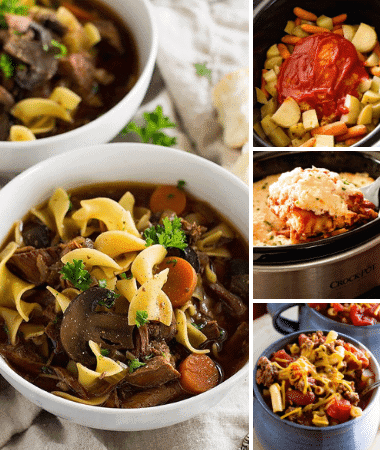 Thank you for sharing and opening my eyes for more amazing meat options in my instant pot. So glad you found another keeper!